This week we’ve prepared a special set of festive freebies inspired by the joyful spirit of the winter holidays. 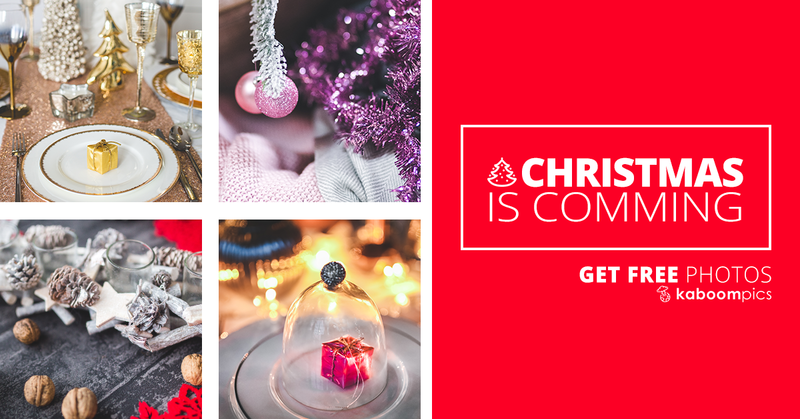 Presenting you some of the best New Year and Xmas designs, this collection of free graphic elements and templates will help you gather inspiration and prepare your designs for the upcoming holidays. Created by Tea Tomesku, a Romanian graphic designer located in Bucharest, this awesome set of New Year icons can be the perfect addition to your holiday design. The icon set is offered in AI, PSD and JPG and is extremely easy to use. It presents a collection of 15 colorful new year icons with a quirky, festive look, which can be downloaded absolutely free from the designer’s Dropbox. 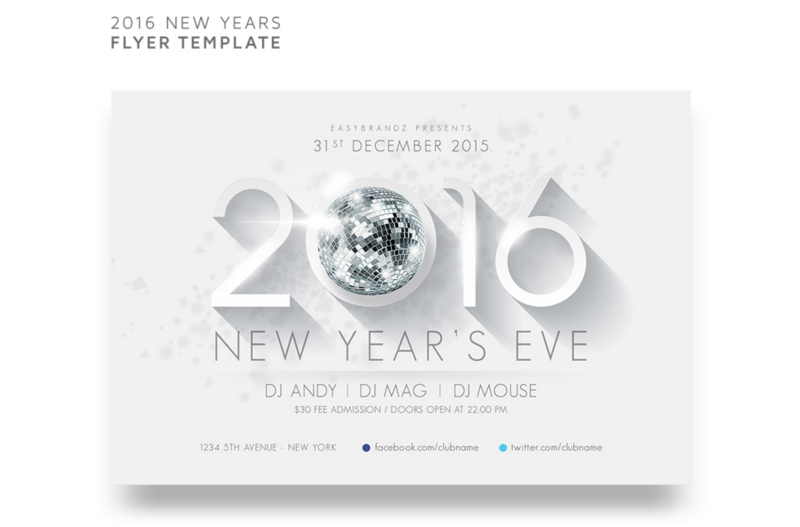 Create the most fabulous New Year’s eve flyer with this elegant template by Marcus Vaz. The Portuguese designer offers a beautiful card template for 2016. The design has a sleek, minimalist look and relies on a clean look and sans serif typography to create a rather contemporary look inspired by modern design. The card template is print-ready, fully editable and equipped with a set of free fonts, so you don’t need to worry about the typography’s license when using this design. Eduardo Mejia, a creative graphic designer based in Porto Corte, created this beautiful set of holidays card designs you can download absolutely free. These cards have a gorgeous layout and a stylish overall look. They use quirky calligraphy and high-quality imagery. Unlike most freebies offered around the web, this PSD looks better than most printed holiday cards you can buy at the market. You can change the text, use it in your personal design projects and show off your excellent design taste and creative skills without spending hours on Photoshop. 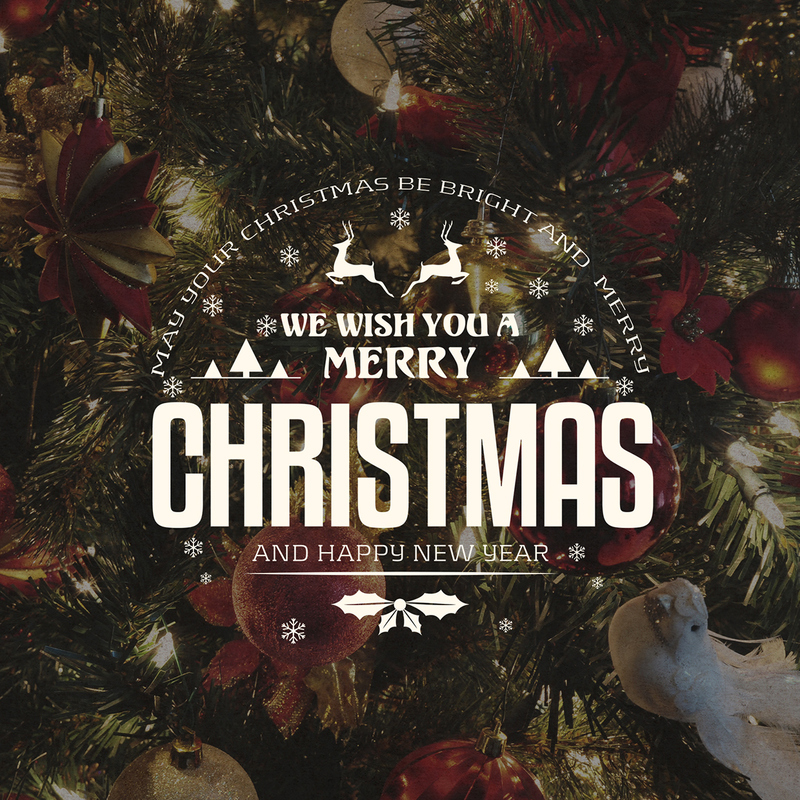 If you’re a fan of vintage design and quirky fonts, this brilliant collection of New Year and Christmas eve graphics will make you awe with inspiration. Creation of the Long Beach company Marvel Media, this gorgeous set of free holiday badge designs is one of the most appealing festive graphics which you can find for free. It includes a group of four free Christmas and New Year badge designs which can be used in a wide range of personal and commercial projects. You can get your set for free from the company’s Facebook page in return of a single page like. Given the graphics’ outstanding design, this definitely seems like an awesome deal! This is something you can’t find every day! The polish 3D designer Adam Beczkowski has prepared a special Christmas gift for designers who wish to infuse their festive designs with a dose of gorgeous realism and a ton of joyful holiday spirit. 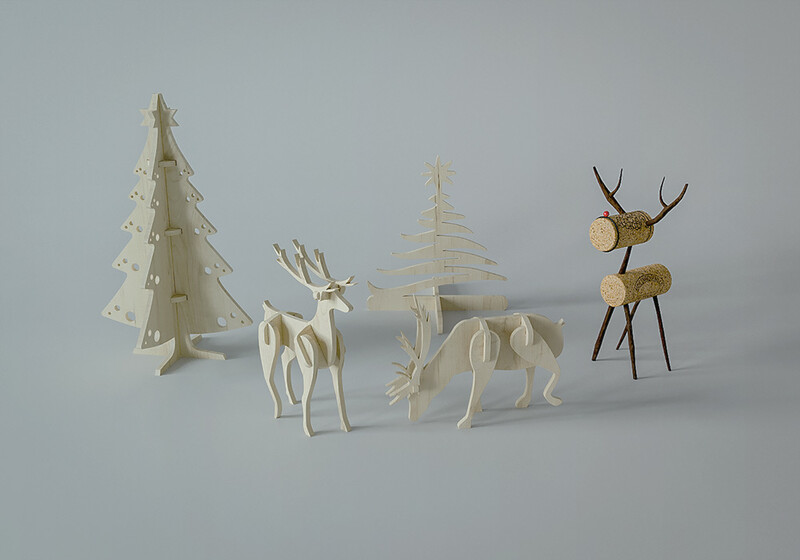 His 3D model collection offers a beautiful set of pine tree and deer models with extreme detail and stunning look. They can be used in 3D projects as well as print and web designs where the model’s image can take a key position in creating an accent in your design. Looking for a great set of holiday backgrounds to add a touch of festiveness to your graphic design projects? If yes, then you’ve come to the right place. This splendind collection of Christmas and New Year photography, created by the Polish designer Karolina Grabowska, will infuse your designs with festivity and provide you a great alternative to the red and green traditional color scheme by presenting you a set of splendid holiday photos fully inspired by color. 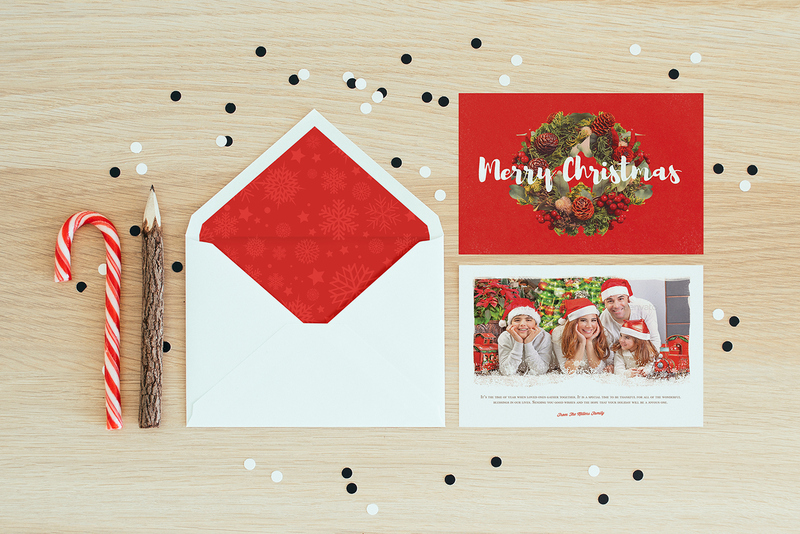 The holidays are a great time for creatives to embark in the world of design and bring happiness to their loved ones with a simple, yet beautiful card design. If you have a keen eye on design and decoration and presents wrapping are your favorite things, you might find the idea of creating a digital holiday card for your close ones to be a fabulous idea. 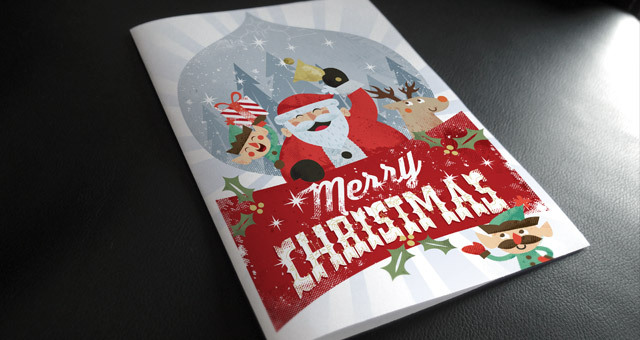 This joyful Christmas card template by Pixeden has a sweet cartoonish look and carries the holiday spirit through its gorgeous typography and excellent choice of colors. The post 2015’s Collection of The Most Fabulous Free Holiday Designs appeared first on SpyreStudios. The role of a web designer can put much on your shoulders. Being visually aware and educated isn’t the only requirement that stands on your way to become your client’s top choice when it comes to web and graphic design tasks. In order to keep your reputation on a high level, you need to be more than just a good prototype designer and an obvious typography geek. Punching deadlines and pleasing clients is one thing, but being able to swiftly present a design solution without having to spend the whole night drawing graphic prototypes, is a totally different thing.When you’re working for a client who hasn’t got a clear idea of what his product should look like or what will be its end purpose, you’ll eventually face the inevitable situation of customizing your otherwise brilliant to match the ideas of your client, his employees, his children and even his aunt Sally, who he rarely sees, but asked for her “professional opinion” because she used to study arts in high school sometime in the past century. What makes a good designer great is his ability to put resources in use to aid his timing and work efficiency without wasting priceless time. And in the world of web design, when we talk about resources, we meant all the wonderful HTML templates and ready themes which are offered throughout the web. But make no mistake, this isn’t just your regular website template roundup. Our team has put effort into selecting the most theme you can have the delight to work on and we’re not talking only about good looks. What’s beneath these killer templates will make your clients beg for more. Allow us to present you Themeforest’s best website themes. No marketing tricks, no copied listicles – just pure web design awesomeness! Clean code, good looks.. what more could a designer wish for in a wordpress theme? Well, the guys at IndustrialThemes have exceeded my highest expectations with a twordpress theme so truly execllent that it is sicerely hard to look at other themes after you see this one. Wouldn’t want to spoil your experience, but worry not. Our list has plenty more to offer you. Implicit is one of Industrial Themes’ latest WordPress themes on the Envato market. This amazing product has been born from the need of top-notch webside quality which hasn’t made any compromises on back end. It presents an unique perspective of online magazine appearance pushing the menu to the left side and opening a wast space for eye-cathing photography. Just like most Industrial Themes, this one has the team’s signature feature which offers quick category section, relying more on crisp icons rather than dull text. The theme comes with many features, such as rating and review system, page builder and many more. Give it a try and enjoy this little treasure yourself. This rather simple looking e-commerce theme won’t blow your mind with the perfect shade of gold or have your drool over a geometry-perfect ghost button, but it’s, hand down, the best e-commerce WP theme you’ll ever see. This hidden gem is packed up with a handful of amazing features making your designer life a lot easier. Awesome banners – you got it! Glamorous animated sliders – set one up with a single shortcode copy-paste! Catchy customizable product stickers and user rating systems are just a pinch of what this excellent theme has to offer. It delivers the exact combination of minimalist beauty, usage simplicity and unique features to become your best friend in building better e-commerce websites. Are you fed up with the same old online magazine template looks? Most multipurpose WP themes feature a clean design, yet too deprived by character and is packed with a handful of features which do more harm than they boost user experience. Making compromises on good looks with heavy code is one way to put a website on the end of Google’s search engine page and few web designers actually undestand the importance. Most themes are merely a solution for a functional magazine or shop. Most, but not all of them! Favethemes’ best-seller UnPress is a multipurpose WP themes we’ve all been waiting for and the time has actually paid off. Not only does it offer a completely unique and customizable layout with a bunch of pre-made homepage design and a wide selection of functionality options to select from. This WP theme can be easily converted to match the needs of an e-commerce site, online magazine or even a fabulous community platform. Powered up with WooCommerce and bbPress along with a wide array of additional features to suit every need, UnPress will leave you no other choice than having you completely fall in love with its fantastic layout and incredible back-end. The post WordPress Design Overview: 2015’s Most Feature-Packed WP Themes appeared first on SpyreStudios.